Word of mouth referrals are the #1 way that patients find Thrive Chiropractic Wellness Center. We are so thankful that our patients continue to sing our praises to family and friends. We also love it when they share their positive experience on Google and other review sites so that others can find us too. Did you know that 92% of consumers these days read online reviews and 80% of those people value the opinions expressed in online reviews as much as personal recommendations? 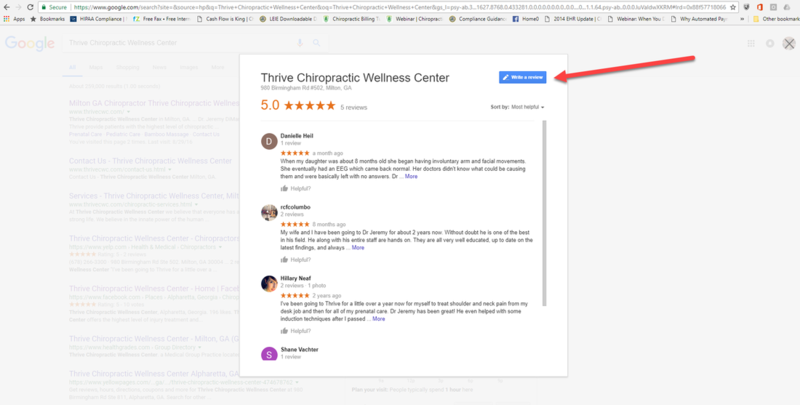 Please help us better serve our community by sharing your positive experience at Thrive Chiropractic Wellness Center on Google. Are you a pro at writing Google Reviews? Click Here to get started quickly. Never written a review on Google? Follow the four easy steps below and you'll be done in a matter of minutes. We thank you in advance for helping our business continue to Thrive! Please select the stars to reflect your experience and share a few details about the positive impact that Thrive has had on your health. 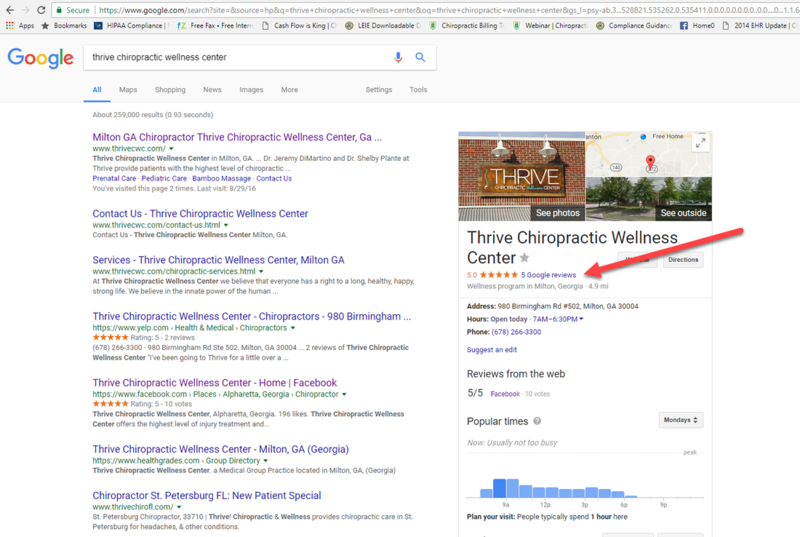 Our goal is for ALL of our patients to have a 5 Star experience every time they visit Thrive Chiropractic Wellness Center. As always, if there's anything we can do to improve your experience we value your input via email to: info@thrivecwc.com or a phone call to the office at 678-266-3300. We thank you in advance for taking a few minutes from your busy day to help us to better reach and serve our community!